Save your seat for this upcoming webinar! Driving efficiencies in clinical trials is critical in the race to deliver treatments for rare diseases. Save your seat for this upcoming webinar! Striving to serve the ongoing efforts to better protect the rights and safety of human subjects in clinical trials, while also facilitating an effective and efficient system that speeds the delivery of life-saving drugs to market. Save your seat for this upcoming webinar! PI turnover is wasteful, damages clinical trial quality and integrity, and shortchanges patients entrusting us to help them find the drugs and devices that can improve their quality of life. Standardized metrics aid in risk management and resource allocation. These tools allow stakeholders to transform data into insights that accelerate study startup, and ultimately clinical trials, through predictability and transparency. Save your seat for this upcoming webinar! What barriers exist to adopting innovative technology in study startup, and what change management practices are being utilized to ensure successful adoption? New research focusing on the diffusion of eClinical technology in the study startup phase of clinical trials including: site selection, patient recruitment, contracting and process optimization, application implementation and integration, and outsourcing. Today marks the next phase in a journey that started 10 years ago. Save your seat for this upcoming webinar! The study startup process is multifaceted, cross-functional, and increasingly global, requiring numerous simultaneous activities across growing internal and external teams. The focus on technology as a driver of performance improvement in clinical trials is intense, but despite years of valiant efforts, study execution remains far from optimal. goBalto selected for having exhibited extensive business process knowledge, along with integrated and innovative capabilities to handle the unique challenges in the clinical trial space. The clinical trial agreement (CTA) can go by other names, such as the contract, the budget, or Investigator Commitment. The CTA is a mandatory business, legal, and financial element and, like many other documents in the clinical trial startup process, it is often responsible for substantial site activation delays of days, weeks, or even months. Save your seat for this upcoming webinar! If you fail to plan, you are planning to fail. These words ring true when it comes to study startup, especially as the clinical trials sector embraces planning as key to boosting study quality. Webinar: CRO Consolidation: A Sinister Threat or Windfall for Pharma? Save your seat for this upcoming webinar! Is the growth momentum in CRO mergers and acquisitions sustainable? And good for the pharmaceutical industry as a whole? The Clinical and Research Excellence Awards recognize goBalto's Activate Configuration Designer in the 'Best Sponsor-Focused Technological Development' category. In order for a sponsor to find the number of research sites they need for a given protocol, they must engage sites that have confirmed both their capabilities and the availability of the patient population to conduct the study. Automated workflows encourage upfront planning and downstream improvements in the eTMF. Upfront planning drives process improvements that boost quality of the eTMF and the study overall. Principal Investigators (PI) may not be the generals Abraham Lincoln had in mind when he made this statement, nevertheless they are one of the key players in the clinical trial efficiency equation - ultimately responsible for the conduct of the trial at the investigative site. In response to tighter margins, globalization and increasing regulatory complexity, sponsors have been embracing an outsourcing model using Contract Research Organizations (CROs) to conduct scientific services for all phases of clinical research. Awards recognize goBalto's Select in the 'Best Technological Development in Clinical Trials - Sponsor-Focused' category. If you fail to plan, you are planning to fail. These words ring true when it comes to study startup (SSU), especially as the clinical trials sector embraces planning as key to boosting study quality. Webinar: Proactive Planning, a Transformational Revolution to Improving Clinical Trial Quality? As the debate over reforming the nation's healthcare system rages on, there's at least one goal all sides can agree on: bring costs down. Risk is our constant companion, and as clinical trials grow in complexity so do risk-based challenges to bring new therapies to market at an ever-increasing pace. The continued reliance on Excel, which lacks project- and risk management functionality has created an illusion of safety often fueling the rescue study industry. A recent analysis by the Manhattan Institute determined that Phase III clinical trials account for 90% or more of the cost of developing an approved drug from laboratory to pharmacy. Clinical trials are growing in complexity – complicated further by the convolution of demand, outsourcing and globalization. The road from the development of a new drug in a laboratory to shepherding it through a series of clinical trials and presenting research findings to the Federal Drug Administration (FDA) is a long and expensive one. The costs range from $100 million to several billions of dollars, and the entire process can drag on for more than a decade. Save your seat for this upcoming webinar! Trial metrics are critical to risk mitigation and a preemptive weapon in the fight against the dreaded rescue study. There is intense pressure to speed clinical trials and restrain costs. Given the burden of this duality, clinical project managers are expected to make smarter decisions on intelligence derived from clinical trial data—at a faster pace, while sponsors and contract research organizations (CROs) are looking for ways to incorporate business intelligence (BI) into the eClinical systems they are using to empower oversight—turning raw trial data into actionable information. Challenging the 'status quo' of the Randomized Clinical Trial (RCT) model, with the concept of Patient-Led Clinical Trials. Before research on human subjects can begin, federal regulations require independent review and approval by an institutional review board (IRB). An IRB is a committee established to protect the rights, safety and well-being of humans involved in a clinical trial. Randomized clinical trials (RCT) remain the trusted standard for assessing pharmaceutical drug and medical device safety and efficacy. An RCT uses a carefully planned experimental framework to compare an intervention/treatment with a control, investigating the effect of each treatment option on a defined outcome. Improving experimental drug success rate and accelerating clinical development are top priorities for pharmaceutical companies. Careful decision making during drug development is essential to minimize development time, manage costs and improve the probability of commercial success. Save your seat for this upcoming webinar! The sharpening focus on quality management is fueling greater use of standardized metrics to optimize clinical trial performance. Innovation is often cited as the "key ingredient" by organizations striving to sustain an advantage in the increasingly competitive global marketplace. The pace of technology change is relentless, with those who don't embrace emerging trends often paying a hefty price. Simply "doing the same thing better", however, is not enough. For clinical development teams, there are many parallel and competing factors to consider when preparing for and conducting clinical trials. From finalizing the study protocol to ethical/regulatory reviews to coordinating drug product supply, there are multiple overlapping activities – across different partners in the ecosystem. Historically, the clinical trial process has been marked by high expenditure, time consuming often manual processes and over-reliance on archaic technology. Around $150 billion is spent annually by pharmaceutical companies on trials, with only 1 in 10 drugs ultimately obtaining regulatory approval. Save your seat for this upcoming webinar! Paragon Solutions and goBalto discuss leveraging technology & business process optimization to drive change in study startup. On the surface this may seem to have some validity, as sponsors and contract research organizations (CROs) often lack a transparent, evidence-based strategy for this task. If you have ever tried to find the right clinical trial for yourself or a loved one, you know the process can be confusing and challenging. For example, in the age of precision medicine, oncologists often offer multiple treatment options, from FDA approved indications to experimental therapeutics that are not yet on the market. No matter your industry, you likely feel intense pressure to get your product or service to market before your competitors. But if that's the first lesson in the Business 101 curriculum, the second should be that achieving "first-mover" status never guarantees success. Webinar: To Centralize Site Selection and Startup or Not? That is the Question. Save your seat for this upcoming webinar! New Tufts CSDD study evaluates the impact of centralized investigative site management—identification, feasibility, selection and activation—on cycle time reduction. Providing audit ready visibility into an artifact's status, that is not yet filed in the eTMF. Treatment of cancer using chemotherapy (chemo) drugs began soon after WWII, when a compound called nitrogen mustard was studied and found to work against cancer in the lymph nodes. In the years that followed, many chemo drugs have been developed that work by non-selectively inhibiting rapidly dividing cells. Investigative sites are the heart and soul of clinical trials, essential to ensuring the efficacy and safety of pharmaceutical compounds in humans. Site selection is pivotal to the successful execution of clinical trials, which are not only long and bureaucratic, but are also experiencing diminishing returns. Save your seat for this upcoming webinar! New study assessing sponsor and CRO experience, practices and improvement areas associated with investigative site identification, feasibility, selection and study startup. This question is often asked about an industry deeply rooted in paper-based, spreadsheet tools for clinical trial conduct. Study teams have continued to rely on these older tools and relationships with principal investigators that have developed over time to select sites, building an institutional knowledge about specific sites based on previous studies. Americans spend a staggering amount of money for prescription drugs, and the prices keep rising. Cases of corporate greed like the infamous Martin Shkreli, former CEO of Turing Pharmaceuticals who increased the price of the life-saving medication Daraprim by 5,000 percent, have become the public face of the entire industry. goBalto has been selected by CIOReview for the second consecutive time as one of the 20 Most Promising Biotech Technology Solution Providers 2017. The Clinical and Research Excellence Awards recognize goBalto's Select solution in the 'Best Sponsor-Focused Technological Development' category. Webinar: Is the Shortage of Experienced CRAs Impacting Clinical Trials? Save your seat for this upcoming webinar! The clinical research industry is experiencing a concerning global shortage of experienced Clinical Research Associates (CRAs), with many sponsors and CROs finding themselves in a never-ending recruitment cycle. Research on inefficiencies associated with starting clinical trials presented to leading pharma and CRO organizations. "Having a dedicated start-up team, the transparency of start-up progress within Activate and the Analyze reports enabled the project manager and the sponsor to have real time access to study start-up progress." "Activate features such as: alerts and to-do lists, role based process flows, milestone tracking (including those on the critical path), and IP release checklists helped drive productivity by creating a central repository with the right supporting workflows." CNN Money recently ranked Clinical Research Associates (CRAs), professionals whose main function is to monitor clinical trials of investigational drugs, as one of the 10 best careers in America in terms of job growth rate, worker pay, and satisfaction. Webinar: Are Local IRBs Really Necessary? Save your seat for this upcoming webinar! Are local IRBs necessary or just a burden on clinical trials, a bottleneck that contributes to delays and cost overruns? Massive volumes of data are generated during clinical trials, but they are woefully inadequate at helping stakeholders spot risk factors and bottlenecks that can disrupt cycle times and budgets. Clinical trials are at the heart of the process for bringing new medicines to patients. One of the most critical aspects to the conduct of any clinical trial is identifying the right group of people to include in the study. Unfortunately, many of the clinical trials conducted in the United States suffer from a lack of diversity, with minority populations being consistently underrepresented. Metrics are central to efforts to rein in clinical trials that are either poorly initiated or have incurred unforeseen events, which place the original timelines and/or budgets at risk of overages. They also drive competitive performance among those organizations performing trials. Save your seat for this upcoming webinar! A paradigm shift is needed in order to eliminate the three evil "e's" – email, Excel, and e-meetings – long associated with starting clinical trials. Clinical trials for pharmaceutical products continue to grow in complexity and scope. Research conducted by the Tufts Center for the Study of Drug Development (CSDD) during the past 15 years has demonstrated that, compared to 10 years ago, protocols have more endpoints, procedures, eligibility criteria, CRF (case report form) pages, amendments, and investigative sites—complicated further by the convolution of outsourcing and globalization. Despite advancements in clinical research technology over the last decade, recent research from the Tufts Center for the Study of Drug Development (CSDD) suggests that we are not conducting site activation any faster today than we did 20 years ago. To you it’s a document. To me it’s my life. T.J. Sharpe is an ordinary man with an extraordinary story. Faced with the prospect of a Stage IV Melanoma diagnosis back in 2012, he vowed to never give up, determined to see his two young children grow up with a father. The gamification of many aspects of our culture is well under way, and some researchers are even beginning to consider the integration of gamification principles into clinical trials. Webinar: Why are Metrics Important to Starting Clinical Trials? Save your seat for this upcoming webinar! This question may seem counter intuitive, as we are exposed almost daily to the dire performance of clinical trials and their spiraling costs resulting from incurred delays. With the advent of technology for clinical trials, an old argument plays out each time a new one is introduced. Should stakeholders build their own solution internally or buy an off-the-shelf tool designed for a specific purpose? Me-Too's: The Carbon Copy "Innovators"
There has been a long-running debate in the pharmaceutical industry about the value of being first to market. Companies spend considerable resources seeking to increase the odds of beating their competitors to market and often fret about the commercial disadvantage of being late. Why are Metrics Important to Starting Clinical Trials? This question may seem counter intuitive, as we are exposed almost daily to the dire performance of clinical trials and their spiraling costs resulting from incurred delays. Webinar: Are Delays in Clinical Trials due to a lack of Experienced CRAs? Clinical Research Organizations (CROs) are often portrayed as the bastions of innovation in the pharmaceutical industry when it comes to running clinical trials, which is not surprising given that outsourcing of trials is estimated to exceed 70% by 2020, and process optimization is key to both their differentiation strategy and increased margins. The outsourcing of clinical research activities is anticipated to increase steadily to 72% by 2020, up from just 23% in 2012. When we think of outsourcing, we need to remind ourselves of the Sponsor and CRO goals. An interesting take away from the recent Tufts CSDD report is the renewed interest in study startup (SSU) as an area of focus, that many organizations engaged in clinical trials are activity pursuing whether through innovation projects, expanded budgets or dedicated SSU teams. Standard Operating Procedures (SOP) rarely grab the spotlight like transformational technologies or newer strategies, such as risk-based monitoring or Quality by Design. But, SOPs deserve some love. With their coveted goal of improving operational efficiency, they have long been fundamental to many industries, and the clinical trials sector is no exception. The race to innovate is increasingly a top priority for businesses across all sectors. The obvious fact is that only a tiny percentage of companies will prevail. What seems less obvious is that innovation almost always comes from small companies. Almost every reported concomitant medication has a reason—and many, if not all of these reasons should be reported as adverse events. Save your seat for this upcoming webinar! Key to avoiding the need for study rescue, cost overruns, delays in regulatory filing, market entry, and ultimately, delivery of new therapies to patients, is the proper identification of red flags that signal the study is veering off course. Investigative sites are the heart and soul of the life sciences sector as they perform the all-important clinical trials. Enterprise IT shops tend to hold on to old technologies, but many are finding ways to standardize, automate and orchestrate them alongside the hot new things. Conducting clinical trials is a high stakes game, but disturbingly, the risk of selecting non-performing or underperforming investigative sites is greater than losing at the gambling table. International expansion reinforces goBalto’s leadership position in Study Startup, essential for speeding clinical trials and the delivery of life saving therapies to patients. The clinical trial process plays an essential role in drug discovery by effectively demonstrating the efficacy and safety of a pharmaceutical compound. Unfortunately, current estimates show that only about 1 in 10 drugs that actually start the clinical trials process are eventually granted FDA approval. Save your seat for this upcoming webinar! While a one-stop eClinical shop sounds appealing, it simply is not possible today. What works best is using and integrating a small number of tools that are purpose-built for specific clinical operational objectives. Sponsor and CRO companies conducting global clinical trials face numerous operational and logistical challenges. With more than 3,000 active global clinical trials conducted annually at approximately 40,000 investigative sites dispersed worldwide, companies are looking for more efficient ways to streamline their processes in order to speed up timelines. Clinical trials play an essential role in the drug development process by effectively demonstrating the efficacy and safety of a pharmaceutical compound. Current estimates show, however, that only about 1 out of every 10 drugs that actually start the clinical trials process are eventually approved by the FDA to go to market. Underperforming investigative sites have long been a puzzling issue for clinical trial stakeholders. There are lots of reasons for sub-optimal performance, ranging from inadequate processes for study execution to overly complex protocols. Alarmingly, an "adverse" event with a selected site is more likely than rolling a 7 in the dice game of craps. The "Lucky 7" denotes gambler's luck and is statistically the most likely number to roll. Selecting the 'right' site to enroll patients is critical to the overall cost and duration of a trial, a process that continues to stymie the industry. Save your seat for this upcoming webinar! There has been a strong focus on study conduct, but as stakeholders are increasingly aware that better SSU processes are linked to shorter clinical timelines, the emphasis is shifting in that direction. In most industries, the pace of technology change has increased so much that corporate IT leaders who don't embrace emerging trends end up behind the competition and eventually out of business. Can we really say the same is true for pharma companies? How Can You Make Site Identification And Activation More Efficient? Site activation in clinical trials is not an efficient process. Those inefficiencies delay the start of trials and are costly to sponsors, CROs, and sites. But more importantly, they keep medicines from getting to patients in a timely manner. Evaluating the efficacy of novel therapeutics in the context of epidemics is challenging to say the least, with situations evolving rapidly and heighten ethical concerns about research during public health emergencies. Clinical trials are horrible things, according to a recent article in TechTarget. Although lead by scientific endeavor with patient safety and therapeutic benefits in mind, the process of bringing drugs to market is long, complex, bureaucratic and, above all else, expensive. The DIA Annual Meeting, Philadelphia, PA (June 26-30), is the largest multidisciplinary event of its kind bringing together a global network of life sciences professionals. Technology has been transforming many sectors of the economy and now it is poised to address one of the most manual, error prone, complex, bureaucratic, and, above all else, expensive bottlenecks in the pursuit of new disease treatments—clinical trials. The pharmaceutical industry continues to face a never-ending onslaught of demands from stakeholders demanding greater clinical trial transparency and regulatory exemptions stemming from growing concerns over costs and lengthy delays in trials, as healthcare costs spiral upwards and patients continue to wait for life saving therapies. Save your seat for this upcoming webinar! Risk based site selection is like an informed consent, you need the right information to make the best decision. The connection between sponsors and contract research organizations (CROs) is strengthening as outsourcing continues to be a clinical trial mainstay. Making the relationship between the sponsor and the CRO as productive as possible means acknowledging the ongoing transition away from tactical projects and toward strategic partnerships, with both stakeholders having a vested interest. Imagine its 2025. Participating in a clinical trial does not require travel to a clinical research facility or doctor's office. Your mobile device (maybe a phone, watch, or even your glasses) is your link to the clinical research study and where you report general information and adverse events. Clinical trials are not for the faint of heart. Conducting even one clinical trial is a monumental task with complex processes and issues that can surface and derail a study's timeline. As a result, delays in regulatory filing, market entry, and ultimately, the delivery of new therapies to patients are all too common. Both the FDA and EMA state that risk-based methodologies should begin at the start of a trial, yet in reality most risk management efforts in drug development have focused on post-marketing safety. Save your seat for this upcoming webinar! Relationships between sponsors and contract research organizations (CROs) are getting stronger—The connection between sponsors and CROs is strengthening as outsourcing continues to be a clinical trial mainstay. In my last blog, I talked about innovation detractors & resistance to change in Pharma. But, just how rational are organizations when they make decisions? This blog is the second part of a two part series. Innovation is a critical ingredient for companies striving to sustain an advantage in the increasingly competitive global marketplace. Simply "doing the same thing better" is not enough. Pharmaceutical companies are constantly looking to innovate and perform business operations in smarter ways, as the costs of drug development have continued to escalate. Many sponsors outsource a majority of their clinical trial activities to one or more contract research organizations (CROs). This strategy enables companies to leverage specialized expertise and take advantage of flexible resourcing, while minimizing the costs of recruiting experts, building a team and maintaining the necessary infrastructure. Pharma seems to be under an almost daily barrage by stakeholders wanting to see movement in the drug development statistics that have stymied the industry, and are to blame for their lackluster performance, rising healthcare costs and delays in getting much needed therapies to patients. Save your seat for this upcoming webinar! Tufts CSDD presents the findings of a new study assessing practices and inefficiencies associated with site selection, study startup, and site activation in starting clinical trials. In my last blog, I suggested utilization of the crowd for funding of clinical research. This blog is the second part of a two part series. Industry proven study startup process optimization key to selection. Recent studies have estimated the cost to bring a new drug to market ranges somewhere between $161 million and $2 billion, and these costs are rising rapidly. This blog is the first part of a two part series. With this mornings release of goBalto Select for site profile optimization, goBalto becomes the first life science software vendor to offer a complete end-to-end platform for starting clinical trials, from site feasibility assessment and selection through to activation, with comprehensive metrics to track adherence to timelines and budget. While most of the industry's risk management efforts have focused on post-marketing drug safety, the clinical trial process holds a broad array of other potential risks that could jeopardize a company's multi-million-dollar product development investment—risks such as site staffing shortages, patient recruitment issues, logistical problems with drug supplies, or regulatory delays. The drug development community is increasingly turning to patient engagement or "patient centricity" approaches to optimize clinical trials costs and improve research outcomes. The Clinical and Research Excellence Awards recognize goBalto's Activate solution in the 'Best Sponsor-Focused Technological Development' category. As a member of the Leadership Group, goBalto and the Metrics Champion Consortium member organizations will collaborate to define industry benchmark measures for organizations engaged in starting clinical trials. In the last several years, we have seen tremendous advances in the amount of data we routinely generate and collect, as well as our ability to analyze and understand it. The intersection of these trends is what we call "Big Data" and it is helping businesses in every industry to become more efficient and productive. A critical question facing many sponsors and contract research organizations (CROs) is whether another system to support study startup (SSU) is really needed. The potential of eClinical technologies can be optimized through the use of cloud-based tools for analyzing business intelligence, with actionable visual reports helping to identify study bottlenecks and improve performance. CenterWatch editor interviews Jae Chung, goBalto's President and Founder on vendor oversight. With thousands of investigational pharmaceuticals, biologics, and medical devices in clinical trials, there is intense pressure to speed them along so the more promising candidates will come to market sooner. goBalto has been shortlisted as a finalist for the Tech Trailblazers Award in cloud computing category in recognition of it efforts to accelerate clinical trials. The clinical trial phase of a drug development program is by far the most costly, risky, and protracted phase of the investigative process. Study startup times can stifle clinical trials, but automating certain processes can help eliminate costly bottlenecks. The drug development process is long, arduous, and costly, driving many sponsors to consider greater use of contract research organizations (CROs). This move reflects sponsors' sharper focus on core competencies and the shifting of management and conducting of clinical trials to CROs. During the last several decades, the pharmaceutical industry has delivered a multitude of life-saving medicines, creating new treatment options for a variety of unmet medical needs. Insights for Pharma Executives Sourcing Global Clinical Trials in the US and Japan. This blog is the second part of a two part series. Insights for Pharma Executives Sourcing Global Clinical Trials in the US and Japan. This blog is the first part of a two part series. Clinical trials are not for the faint of heart, conducting even one clinical trial is a monumental task. Many issues can arise during the course of a clinical trial that can negatively affect a study timeline, which in turn delays regulatory filing, and can ultimately delay market entry. goBalto Activate chosen by ICON for global site activation, automation and process improvement. ICON implements Activate to accelerate study startup by reducing manual processes. Regrettably, Excel is still omnipresent in clinical research. In my last blog, I suggested that data anonymization for secondary use is potentially a major barrier to leveraging Big Data from clinical trials. Is HIPAA a barrier to Big Data in Biomedical Research? The vast amount of data generated each day in healthcare represents numerous opportunities to enable the life science research community to access, manage, and implement big data. Many sponsors are soliciting the services of CROs that employ process-driven clinical research methods. Designed to help achieve more predictable costs and actionable results, CROs employing these methods are speeding the R&D process, while reducing trial risks. Industry leaders are adopting ‘best of breed’ applications in eClinical stack to speed clinical trials. Sponsors are embracing outsourcing of clinical trials to contract research organizations (CROs) in order to contain operational and infrastructure costs, as well as gain access to therapeutic and clinical trial expertise, with the potential to complete projects better, faster and more efficiency. Drug companies should leverage lessons from digital marketing to solve a big, lesser-known issue in drug development. According to a recent article in TechTarget, clinical trials are horrible things. Although Biopharma is lead by scientific endeavor, and only has patient safety and therapeutic benefits in mind, the process of bringing drugs to market is long, complex, bureaucratic and, above all else, expensive. New European clinical trial regulations aim to reduce administrative burden and costs. goBalto's "smart" workflows harmonize clinical trial expediency and compliance, creating an environment that is favorable for conducting clinical trials across the European Union. Is your study startup (SSU) solution masquerading as a purpose-built application? Often disguised as wolves in SSU clothing, SSU knockoffs fail to live up to expectations. Webinar: Ready to start your clinical trial? Think again. Save your seat for this upcoming webinar! Listen to our panel of industry experts talk about the importance of getting clinical trials off to a strong start and have your questions answered. In a previous blog post "The importance of Standard Operating Procedures (SOPs) in clinical trials" the automation of SOPs for document exchange for managing compliance obligations, amongst other performance benefits, was discussed. According to a recently released report from Research and Markets by 2020 the average clinical trial outsourcing penetration will likely reach around 72%. Although there are obvious benefits to outsourcing, it creates new challenges around quality, oversight, collaboration, and governance. Industry standard in study startup adds robust team management and submission planning features. The third major release of 2015 offers new features that further accelerate clinical study startup. Standard Operating Procedures (SOPs) are one of the most useful systems to help improve the efficiently of clinical trials, which can aptly be described as "writing down what you do, and do what is written down." Drug Discovery News editor interviews Sujay Jadhav, goBalto's CEO on the company, products and future plans. The 5th Annual Disruptive Innovations to Advance Clinical Trials (September 10-11) conference is the definitive event for innovators in the clinical trial space. The entire conference introduces novel and bold approaches to help attendees think differently about how we do clinical trials. The need for more efficient clinical trials is driving greater use of cloud-based solutions, especially with the rise in globalization, a trend that is seeing participating sites venturing full force into regions such as Eastern Europe, Latin America and Asian countries. But this opportunity is not without its challenges. There's no doubt that a clinical trial management system (CTMS) is vital to the clinical trial process. Primarily focusing on study execution, CTMS solutions are meant to manage all aspects of the trial process; they're built to be all encompassing. But over time clinical trials have become too complex for one single system to handle. As Craig Morgan recently pointed out in this two-part series, there is a critical and undeniable need for speed in clinical trials. E-signatures are an important step towards the automation of clinical trials. Partnership bolsters collaboration with clinical research sites. The life sciences industry has recognized study startup as one of the worst performing areas in clinical trials—it is a bottleneck at the outset that slows drug development, leading to significant delays and costs. The pharmaceutical industry has been on the defensive against the escalating cost of medicines, ethical issues associated with globalization of clinical trials, and access to new innovative treatments. I have written several articles recently about companies in the pharma industry that continue to use paper for clinical trials when technology now exists to make all of it obsolete. Are you an industry leader or a laggard in Study Startup? Advanced, cloud-based collaboration platforms allow sponsors, CROs, and sites to dramatically reduce study startup timelines, eliminate bottlenecks, and reduce costs. The clinical trial landscape is ripe for bringing substantial improvements to the SSU process. The status of clinical trials continues to stymie industry stakeholders anxious to rein in the cost of product development and adhere to tighter timelines. The life sciences industry has recognized study startup as one of the worst performing areas in clinical trials. Many organizations struggle to control costs and resources associated with ramping up clinical trials. In a previous blog post, Usability in action, I discussed conducting interviews and usability sessions to understand your users' needs, and how to use these tools to develop your designs. But wait, there's more—or, there are steps to take before moving on to usability. The DIA Annual Meeting, held recently in Washington D.C. (June 14-18), is the largest multidisciplinary event of its kind bringing together a global network of life sciences professionals. We've all heard the saying, "test early and test often." When I first began doing usability testing, I was scared to death. I cowered behind my designs, wanting to test later and test seldom. Why? Testing the safety and efficacy of new drugs is a costly and complex process for pharmaceutical organizations. The rising cost and complexity compromises profitability and can stifle research and innovation. Clinical Research Organizations (CRO) that specialize in clinical trials offer sponsors the expertise of moving a new drug or device from its conception to FDA marketing approval, without the sponsor having to incur costs associated with staffing these services. Outsourcing different aspects of the clinical study process is a growing trend; 64 percent of trials are currently outsourced. Of those that don't currently, 54 percent plan to outsource in the future, according to a survey conducted by Clinical Informatics News. Over the past decade the capitalized cost to develop an approved new drug has more than doubled from $1,044M in 2003 to $2,558M in 2013 (source: CSDD, 2015). We bring significant technological disruptions to the historically inefficient and error prone startup stages in clinical trials inspite of being told by industry veterans that, "you can't bring standards to study startup because of regulatory complexities, people's tendencies to not change, and that people have tried before, etc." goBalto is the only non-TMF vendor to have released a fully integrated framework based on the new DIA TMF reference model (version 3.0) XML-based exchange mechanism (see "A new eTMF Exchange Initative: Presentation at the DIA eRegulatory and Intelligence Conference" by Paul Fenton, chair of DIA TMF reference model V3 Exchange Group). As clinical trials increasingly are conducted outside the US, Pharma and CROs face both opportunity and challenge especially in emerging markets. Gartner recognizes goBalto as a "Cool Vendor in Life Sciences"
Vendors selected for the "Cool Vendor" report are innovative, impactful and intriguing. Gartner's Cool Vendor research "is designed to highlight interesting, new and innovative vendors, products and services." Study startup is the process of (i) identifying and (ii) activating investigative sites. Historically, the study startup phase has been viewed as inherently inefficient and error prone—the workhorse of clinical trials being labor intensive, costly, and time-consuming. There's no doubt that a electronic trial master file (eTMF) is vital to the clinical trial process, to comply with regulatory requirements by securely maintaining and storing essential trial documents. What differentiates goBalto from an eTMF? Before we answer this question, let's just state for the record: an eTMF is an important tool for organizing your clinical study startup documents and providing easy access to those documents. An eTMF plays a central role in the submission and closeout phase of the trials process. The question of whether existing technologies like eTMF can manage study startup often comes up when I meet with clinical trial sponsors and CROs. There’s a lot of confusion in the market about what these systems can and cannot do, for a few reasons. In the early days of contract research organizations (CROs), when just a handful of CROs existed, big pharma handled most of their own clinical development. In last month’s post, Steve Winter discussed the elements of effective user experience design. goBalto uX Designer Tammy Coombs highlights the people aspect of UX design and shares details of a usability visit with a goBalto partner. Effective user experience (UX) design requires a deep understanding of users, what they need, what they value, and their goals and expectations of an application. We study and evaluate how people get things done, and translate this into an elegant user interface. Yes, patient recruitment continues to be a major bottleneck in clinical research. Just as it was a decade ago, about a third (37%) of sites in a given trial still fail to reach their enrollment goals, and 11% fail to enroll any subjects at all. What Are the Top Three Items Used to Select Sites? ...And What Should They Be? An interesting discussion has taken place over the last month on LinkedIn in the The Association of Clinical Research Professionals group (view discussion here). Source Document Verification - How much is enough? Performing 100% Source Document Verification (SDV) has been the gold standard for years in clinical research. CRAs spent much of their careers checking every datapoint on CRFs against Source Data. Where does the name goBalto come from? Whether it's a customer demo, investor pitch, friends, family and random folks on the internet - we get this questions all the time. Where does the name goBalto come from and what does it mean? Here's the story. Study sites have numerous responsibilities and must perform a daunting number of tasks. The one aspect of conducting clinical trials that sites usually spend the most time working on is Patient Recruitment, and yet, statistics show that despite their efforts, reaching enrollment goals per timeline is frustratingly elusive in many studies. The Trial Master File (TMF) is the heart of every clinical trial. The TMF often paper/binder based is a collection of essential regulatory documents which are required to initiate a trial within an investigative site. What Has Your Clinical Trial Management Platform Done For You Lately? When selecting a technology platform for management of clinical trials, study sponsors face more than a few potentially costly decisions & tradeoffs. The first challenge in selecting a technology (or technologies) is understanding one’s options - the wide scope of operations supported by various vendor systems can make comparing two systems difficult. Do you use Excel to track site activation? Then this article was written just for you! Did you know over 80% of study managers use a spreadsheet to track site activation tasks? Not surprising, considering Excel is widely accessible, affordable and easy to use (in the short run). However, these benefits become quickly negated when you are seeking to activate more than a handful of sites. 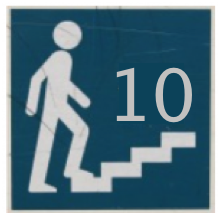 This is the 10th and final installment of our series on 10 Steps to Clinical Study Start Up. We hope you enjoyed it. And of course feedback/comments/thoughts are welcome!